← Cargo Saddlebag Cross Pole Too Long? 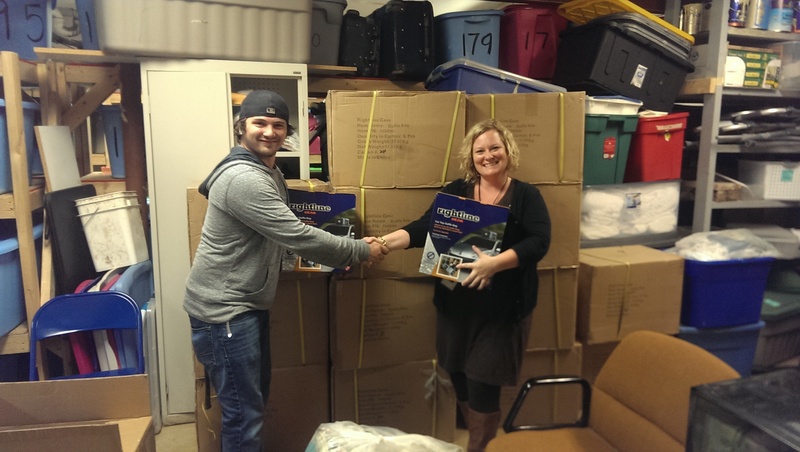 Rightline Gear was recently able to help the efforts of Asheville, NC based Homeward Bound. Homeward Bound started in 2006 with the goal of ending chronic homelessness in Asheville. They are well on their way to reaching that goal, reducing chronic homelessness in the city by 82%. Homeward Bound believes that the key to their success is to provide folks that have gone through a life crises with housing, which provides stability, and with support, which keeps them in housing for good. Room In The Inn – Faith based communities take turns housing 12 women as the women work towards moving into permanent housing of their own. Pathways To Permanent Housing – Using grant funds, homeless people are moved into their own apartments and provided with case management to help them move towards self sufficiency. Hope To Home – A program that pairs 8-10 volunteers with a homeless person who is just moving into permanent housing. The volunteers provide financial, material, and practical support during the person’s first year in housing. Rightline Gear was pleased to donate a number of its Car Top Duffle Bags to Homeward Bound that otherwise would have been classified as product seconds. Homeward Bound will be distributing the bags to the homeless people in their program. The waterproof bags will be used to hold the belongings of the people, both in and out of the A-Hope Day Center. Victor Golden, Rightline Gear’s Facilities and Shipping Manager, coordinated the donation of the bags with Ashley Campbell of Homeward Bound.